Coach services : Daily connections with Geneva and Italy. Do not hesitate to call upon private or public service professionals for your transfers to or from an airport. SNCF railway stations in the resorts. TER regional train and TGV high-speed mainline train connections from St Gervais-le Fayet railway station, just 20km away. 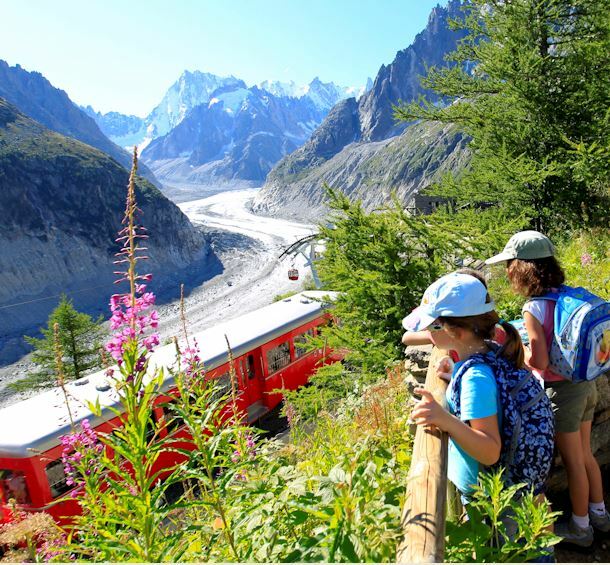 The Mont Blanc Express: This SNCF railway line serves all villages from St Gervais-le Fayet to Martigny (Switzerland) via Servoz, Les Houches, Chamonix, Argentière and Vallorcine. Via Switzerland : Motorway to Martigny, Col de la Forclaz, Col des Montets. Via Italiy : 15km from the border via Mont-Blanc Tunnel. Do not hesitate to call upon private or public service professionals for your transfers to or from an airport, station or town.